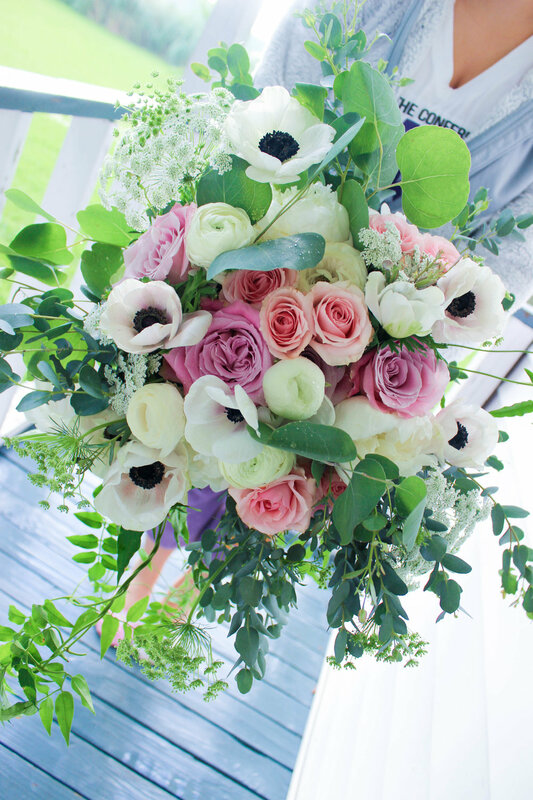 Anemones have been a much requested flower from our brides! Anna was no exception. 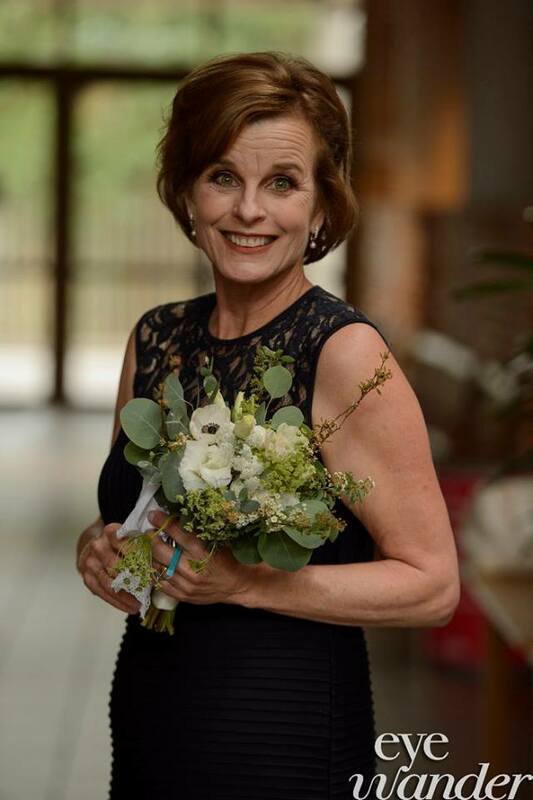 Anna, her mother, Marianne, and Leslie from Leslie Campbell weddings came for a floral consultation one evening and shared their floral vision for Anna's May 2017 wedding. After months of corresponding, the wedding finally arrived and we poured our creative hearts into the floral design! Let's begin with the bride! Anna new exactly what she wanted: modern bohemian style in classic colors of ivory, white and pale pink with lots of dramatic foliage to offset the navy blue bridesmaids dresses. Her one must have...white anemones! These delicate beauties are hard to come by, but our wholesalers came through and got them for us. Hooray! 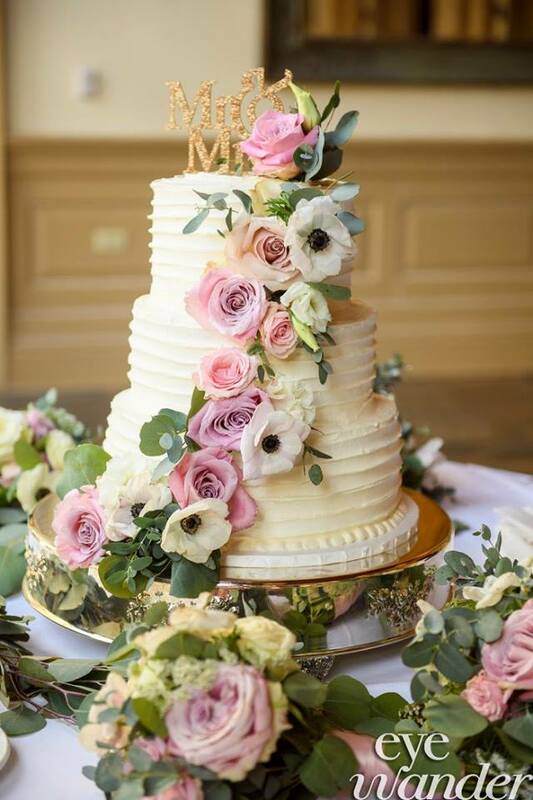 Anna's loose and airy bridal bouquet featured faith roses, blush pink spray roses, white peonies and ranunculus and panda anemones. To give that bohemian vibe, we added queen anne's lace, eucalyptus and jasmine vines. The bridesmaids held hand-tied bouquets of ivory, white and pink to coordinate with their navy dresses. 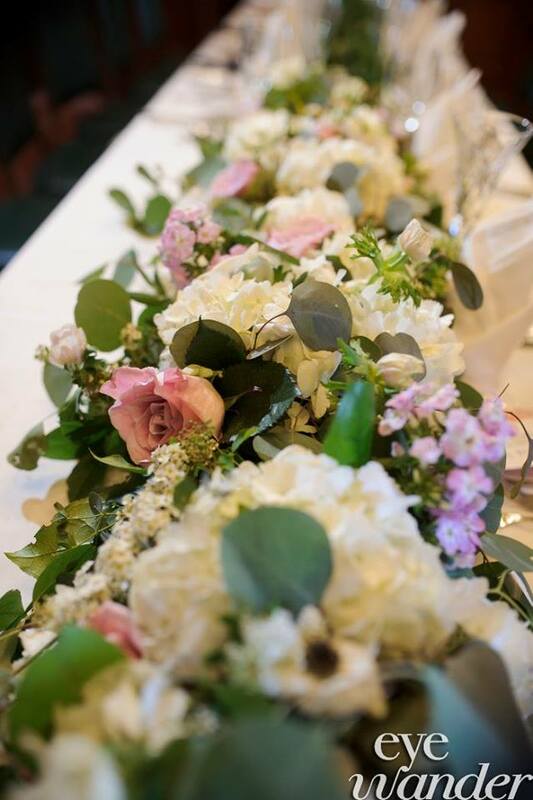 The beautiful bundles featured faith roses, blush spray roses, panda anemones, ranunculus, queen anne's lace and eucalyptus. 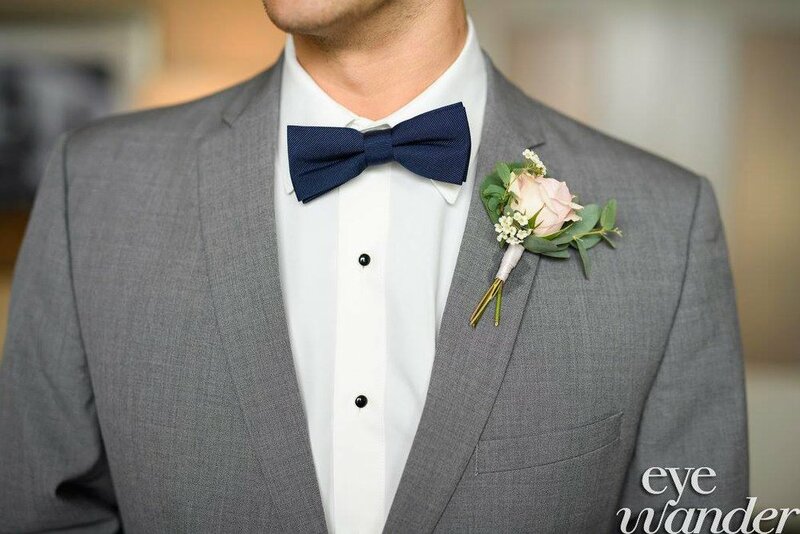 Matching boutonnieres of blush pink spray roses and eucalyptus were just right for the guys in the wedding party! The groom's boutonniere was extra special with a fluffy white ranunculus. 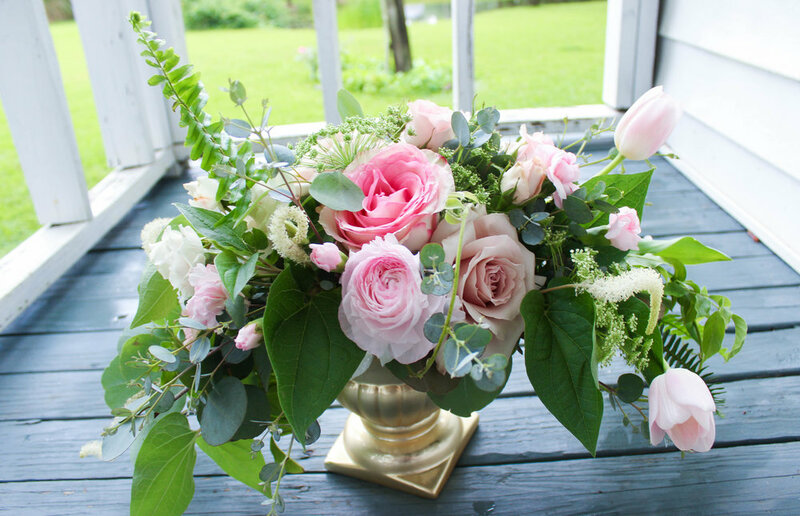 Anna's mother, Marianne, wanted a nosegay filled with neutral colors in coordinating floral and foliage textures. Blush roses for the grandmothers' traditional corsages. 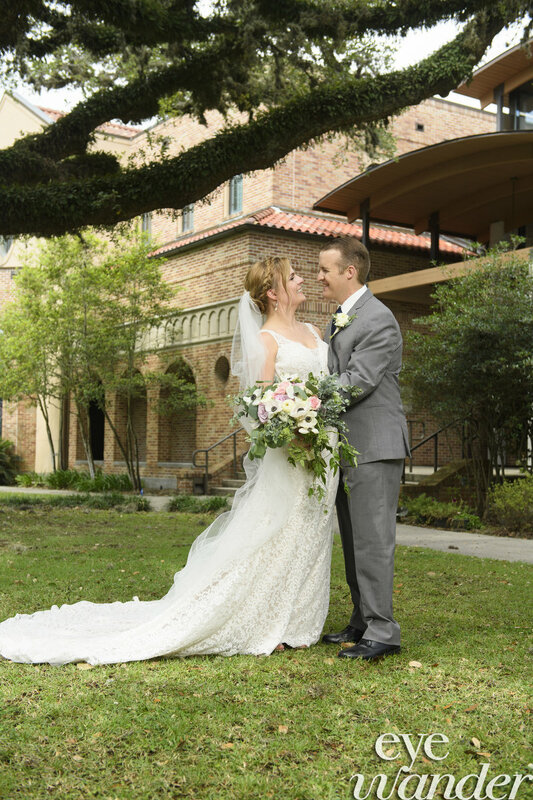 Christ the King Church on LSU's campus was the setting for the lovely bride and groom's nuptials. We adorned the church with floral decor on the altar, chairs and memory candles. This is the spot where the couple met! They wanted to acknowledge this special location with flowers. 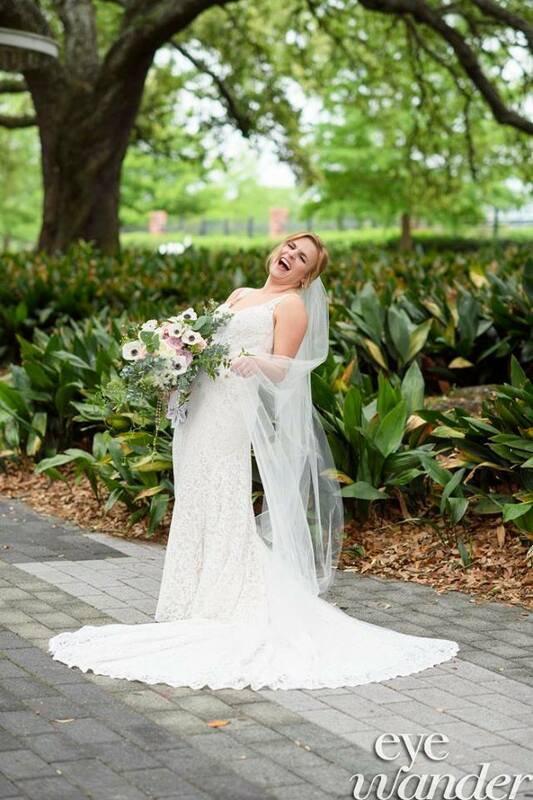 The party started at the City Club of Baton Rouge for this fun loving bridal party! Anna wanted centerpieces of all shapes and flowers to fit the colors and bohemian vibe of the bouquets. It was our sincere pleasure to a part of this couple's wedding! Thanks to Leslie from Leslie Campbell weddings for bringing this California family to our small flower shop in St. Amant. It was a lovely experience. Thanks to Anna and Marianne for your trust in designing for the wedding and for the best salt water taffy a girl could ask for!